1. SPECIAL TIME: Monday, Nov. 26, 2018, 7-8:30 pm PST (9-10:30 pm CST, 10-11:30 pm EST): We welcome John Hunt to the show. John is a frequent Space Show caller, friend and supporter. This program is part of our new program to invite active and frequent Space Show participants to be guests on the program. 2. Tuesday, Nov. 27 2018, 7-8:30 pm PST; 9-10:30 pm CST; 10-11:30 pm EST: We welcome back Dr. Doug Plata to the program with news and updates. 3. Wednesday, Nov. 28 2018: Hotel Mars. See Upcoming Show Menu and the website newsletter for details. Hotel Mars is pre-recorded by John Batchelor. It is archived on The Space Show site after John posts it on his website. 4. Friday, Nov.30, 2018, 9:30 am -11 am PST, (12:30 -2 pm EST; 11:30 am -1 pm CDT: Dr. Haym Benaroya returns as our special guest for today. 5. Sunday, Dec. 2, 2018, 12-1:30 pm PST, (3-4:30 pm EST, 2-3:30 pm CDT): We welcome space well known space journalist and advocate Leonard David regarding multiple space development stories and his new book. Please support The Space Show. Your support is appreciated. On behalf of The Space Show, One Giant Leap Foundation (OGLF) and myself, I want to wish you all the very best for the upcoming Christmas and holiday season and for the New Year 2019. May it be a year full of health, happiness, prosperity, and peace. Like all of you, I also hope for a 2019 with lots of significant and productive space development, including the continued expansion of commercial space business opportunities, economic development, and yes, lots of near term lunar activities, both commercially and for our return to the Moon and on to Mars. I also want to thank all of you who have so generously supported The Space Show/OGLF during this and previous years. Simply put, The Space Show owes its existence and success to all of you, listeners, callers, emailers, and guests alike. Your commitment to space development and The Space Show over the past 18 plus years is and has been very special to me and to everyone in our audience. It is also important to understand that Space Show funding needs are ever present and since we are a listener supported program, our future is largely in your hands. 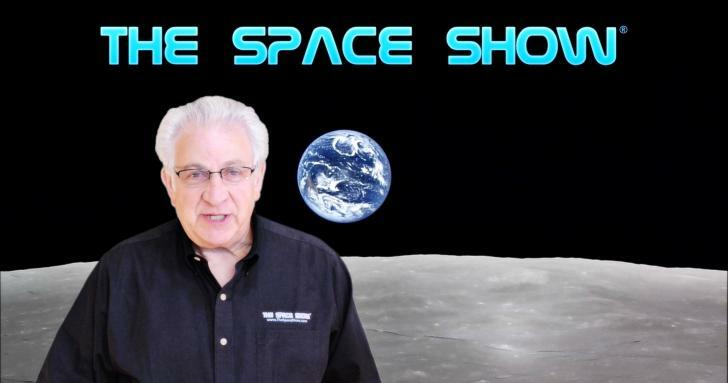 If you have questions relating your support for The Space Show, please contact me at drspace@thespaceshow.com. In addition to asking you for your support in our annual fund raising campaign, I would like to briefly tell you about our newly revised OGLF Advisory Board (www.onegiantleapfoundation.org/advisory-board.htm). Please look over the guidelines and if you are interested, let me know. We want your active participation, support and feedback and we believe the new Advisory Board will fill the bill for The Space Show. During 2019 The Space Show plans on maintaining the four programs per week schedule plus our short Hotel Mars segment hosted by John Batchelor of The John Batchelor Show. Note that Mr. Batchelor controls Hotel Mars and it is possible he might make changes in the program and/or schedule. I am still considering using the Monday program for a more timely Space Show topic presentation. Options for this are being developed and will be run by our Board of Directors and the new Advisory Board as soon as possible. Please remember that The Space Show relies entirely upon your financial support for its continued operation and programming. Your financial support enables us to distribute our copyrighted content freely to everyone with online access. We never take fees from guests to be on the program, even when we are helping the guest promote books, movies, or other IP, including ideas and theories. Simply put, we do not do infomercials and we never will do them. Given our policy, we continue to need your financial support and help in maintaining and growing The Space Show. We want to continue providing a credible forum for your creative, scientific and opinion work, projects, theories, ideas, books, and views. That said, our costs (in all categories of operations) continue to rise and at times challenge our very existence. Your contributions help us in meeting these challenges. To remain strong and viable for 2019, your support for The Space Show is essential. The Space Show is a non-profit 501C3 and California Public Benefit Corporation. Our parent 501C3 corporation is the One Giant Leap Foundation (OGLF) (www.onegiantleapfoundation.org). We understand that you have choices in making your tax deductible contributions and we certainly appreciate your including us in your gifting priorities. Contributions to The Space Show should be made through Pay Pal or if by check to One Giant Leap Foundation. Mailing and Pay Pal instructions can be found by clicking on the Pay Pal button on the right side of our home page, www.thespaceshow.com or by clicking on the OGLF page, www.onegiantleapfoundation.org/individuals.htm. From The Space Show home page, please use the Pay Pal button on the right side (www.paypal.com/webapps/shoppingcart). Don’t forget The Space Show Amazon support programs. For more information and to have your Amazon purchases help support The Space Show, please click on the large Amazon button near the center of our home page. Space Show business and corporate sponsorships for 2019 are now available. Our program is unchanged from 2018. The sponsor gets his business banner ad placed on The Space Show home page plus I will read a 60 second or less sponsor PR message on each full length Space Show program. On the 60 minute programs, I mention each sponsor by name and thank them for their sponsorship but to save time for the guests, I don’t read the respective 60 second PR sponsor messages. For information on being a sponsor, email me at drspace@thespaceshow.com. These sponsorship opportunities are limited given I read the sponsor message on each regular length live show. Only so many messages can be read without eating into the guest talk time so if you are interested, please contact me as soon as possible. The year 2018 is quickly coming to a close. Now is the time to support The Space Show/OGLF by making a contribution to help maintain and further develop our programming and show access. If you pay U.S. federal taxes, you get a tax deduction for your gift. The same is true for those of you paying California taxes as we are both a federal 501C3 nonprofit corporation and a California Public Benefit Corporation. Please check with your tax adviser regarding any and all tax questions that you might have regarding your potential OGLF tax deductions. You are also encouraged to contact me with your questions and comments about the show or anything else. Above all, please remember that we do need and appreciate your support. Per above, you can make your donation online using Pay Pal by clicking on the Pay Pal logo on the right side of our home page. For those of you who prefer mailing a check, please make your check payable to One Giant Leap Foundation, Inc. and mail it in care of me to P.O. Box 95, Tiburon, CA 94920 USA. Remember, your gift makes possible The Space Show programming and all of the services we provide including our blog. Your generous support makes it possible to bring to all of you a wide variety of topics, issue discussions, factual information, timely analysis, a toll free line, listener interaction with our guests, and innovative guests from around the world. And don’t forget our blog which is available both before and during a program as well as after the program has aired and is archived. As I always say, your donations and support are what keeps The Space Show on the air. Thank you for your support. I look forward to sharing the New Year with you through The Space Show and OGLF. Please contact me at drspace@thespaceshow.com if you have any questions. Let’s all work to make 2019 a banner year for space, prosperity, health, and peace around the world. Finally, I want to stress just how much your gift to TSS and OGLF is appreciated and needed for 2019 and beyond. The Space Show/One Giant Leap Foundation, Inc.